Welcome to The Children's Gym. The parent portal requires credit card information to complete your account, but your card is not automatically charged. When you enroll in a service the typical fee will post. 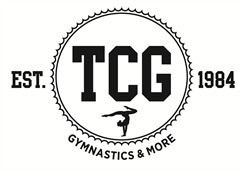 TCG will receive the enrollment and adjust applicable fees for any discounts before collecting payment. Cards are typically charged within 24 hours. If you are signing up for a waiting list, your card is not charged. Do not submit payments through portal unless directed by TCG staff. When registering for gymnastics or dance classes a membership fee of $40 for 1 child or a family membership fee of $50 will be added and charged to your account. This will make the student or families active members. 1. I understand and acknowledge that the activity my child is about to engage in poses known risks and unanticipated risks which could result in injury, paralysis, death, emotional distress, or damage to my child, property, or to third parties. The following describes some, but not all, of those risks: Gymnastics, dance, cheer and fitness classes entails certain risks that simply cannot be eliminated without jeopardizing the essential qualities of the activity. Without a certain degree of risks, students would not improve their skills, and the enjoyment of the sport would be diminished. Gymnastics, dance, cheer and fitness classes exposes its participants to the usual risk of cuts and bruises. Other more serious risks exist as well. Participants often fall off equipment, sprain or break wrists and ankles, and can suffer more serious injuries as well. Traveling to and from shows, meets and exhibitions raises the possibility of any manner of transportation accidents. In any event, if your child is injured, your child may require medical assistance, at your own expense. 2. I expressly agree and promise to accept and assume all of the risks existing in this activity. My participation in this activity is purely voluntary, no one is forcing me or my child to participate, and we elect to participate in spite of the risks. 3. I hereby voluntarily release, forever discharge and agree to hold harmless and indemnify TCG from any and all liability, claims, demands, actions or rights of action, which are related to, arise out of, or are in any way connected with my child's participation in this activity. 4. Should TCG, or anyone acting on their behalf, be required to incur attorney's fees & costs to enforce this agreement, I agree to indemnify and reimburse them for such fees and costs. 5. I certify that my child has health, accident and liability insurance to cover any bodily injury or property damage that may be caused or suffered while participating in this event or activity, or else I agree to bear the costs of such injury or damage to my child. I further certify that I am willing to assume the risk of any medical or physical condition my child may have or else I am willing to assume and bear the costs of all risks that may be created, directly or indirectly, by any such condition. 6. In the event that I file a lawsuit against TCG, I agree to do so solely in the state of Oregon, and I further agree that the substantive law of that state shall apply in that action without regard to the conflict of law rules of that state. I agree that if any portion of this agreement is found to be void or unenforceable, the remaining portions shall remain in full force and effect. By signing this document, I acknowledge that if anyone is hurt or property is damaged during my participation in this activity, I may be found by a court of law to have waived my right to maintain a lawsuit against TCG on the basis of any claim from which I have released them herein. I have had sufficient opportunity to read this entire document. I have read and understood it, and I agree to be bound to its terms. In consideration of "enrolling student"	being permitted by TCG to participate in its activities and to use its equipment and facilities, I further agree to indemnify and hold harmless TCG from any and all claims which are brought by, or on behalf of Minor, and which are in any way connected with such use or participation by Minor. Tuition: Tuition is based on a four week month/four lessons. Tuition will be adjusted due to shorter or longer months per The Children's Gym scheduling. Stated monthly tuition is based on 4 lessons in a month. Please see office for specifics. Making Payments: Payments are automatically deducted through our automatic payment system. Payment Due Date: Tuition for all classes and services are due on the 21st of every month. Families will incur charges on their autopay on the 21st of every month. Returned Check: In the event that a payment is returned as NSF your family account will be charged a fee of $35. Late Fee: A $15 late fee is charged to all payments (per child/class spot) made after the 21st due date. I represent and warrant that if I am purchasing something from The Childrens Gym or from Merchants that (i) any credit or bank account draft (ACH Draft) information I supply is true and complete, (ii) charges incurred by me will be honored by my credit card company or financial institution, and (iii) I will pay the charges incurred by me at the posted prices, including any applicable taxes, fees, and penalties. I hereby authorize The Childrens Gym to charge my bank, or credit card account. I understand that a written notice is required to terminate billing by the 20th of the current month to avoid charges for the upcoming month (for regular season tuition). I am responsible for payment whether or not my student attends classes until I notify The Children's Gym in writing to drop my student from classes. By choosing to enroll your child for classes at The Children's Gym you are responsible for payment of the registration/membership fee and class tuition reserved for your child/children until the date of cancellation. You agree to pay for all classes reserved for your child/children, whether or not they attend. There are no refunds or credits of tuition fees paid. The $40 single student registration fee or the $50 family registration fee is due upon initial registration and on your anniversary date, thereafter. Before Class: For the safety of all students and staff children are not allowed onto the blue gym floor or on any equipment until they have been called into class. We ask for parents help in keeping children out of the gym until staff has called them in. During Class: Parents of students under the age of 6 are asked to remain on site during their child's lesson. In the case your child needs to use the restroom we need to be able to send them to you for help with this. Parents of students 6 and older do not need to stay on site as we will send this children independently out of the gym if need be. A contact cell phone number must be on file though if you do leave. After Class: Once students are finished with classes or camps prompt pickup is encouraged. Children not picked up within 15 minutes after their class will be charged a $10 fee to their account. Gym: Both parents and non-enrolled children must stay out of the gym, except when invited in by a staff member. Food and beverage are not permitted in the gym except for water in a closed container. Dress Code: Shoes should never be worn in the gym and socks should be removed as well. Please see specific programs dress code requirements. Illness: Please be sensitive to the other families in our program and excuse your child from class if he/she is ill. If your child has experienced head lice while attending classes we ask you to inform us so that we can take all the necessary precautions needed to protect our clients and staff. Waiting Area: Tumbling, climbing, and gymnastics skills of any kind are not allowed in the waiting area. Tuition pays for a class spot REGARDLESS OF ATTENDANCE. However, as a courtesy, The Children's Gym does offer ONE make-up per month for an excused absence when class availability permits, in addition to any missed classes for inclement weather. An excused absences eligible for a makeup will disappear from a student's account once they drop from class or the season comes to an end. Once dropped from classes all eligible absences are no longer accessible to be converted to open gym credits or scheduled as a make up. Make-ups can not be scheduled within a month a child will not be enrolled in classes. Excused Absence: The Children's Gym staff must be notified 24 hour prior to an absence in order for it to be excused and qualify for a makeup. Scheduling: All makeups must be scheduled in advance. Makeups will only be offered in classes that have availability. If all classes are full a make-up cannot be scheduled and must be waived. Makeups must be done within a month of the excused absence. Makeups can not be scheduled within a month a child will not be enrolled in classes. TCG only schedules makeups within the week or no further than 7 days into the future due to ongoing enrollment. Missed Makeup: If a makeup is scheduled and missed then the right to that makeup is waived. THERE ARE NO MAKEUPS FOR SUMMER CLASSES OR ANY CAMPS. PARENT'S MUST NOTIFY THE SCHOOL TO TERMINATE AUTO BILLING. Only a written notice will be acceptable. Verbal notice will not be accepted. Please note: You are responsible for payment for your student's classes WHETHER OR NOT YOUR STUDENT ATTENDS CLASS until the time you notify the office VIA writting. Please do not rely on your student to verbally let us know that he/she will no longer be attending classes. If a student stops coming to class without notification then that student's account will be charged. All students automatically drop from school year season classes on the last day of the school year session. Please see front desk for specific dates. The undersigned gives permission to The Children's Gym, its owners and operators to seek medical treatment for the participant in the event they are not able to reach a parent or guardian. I hereby declare any physical/mental problems, restriction, or condition and/or declare the participant to be in good physical and mental health. I request that our doctor/physician __(enter in your child's notes)_____ be called and that my child be transported to _______(enter in your child's notes)________ hospital. Please include physicians' phone number __(enter in your child's notes)____. Camp tuition paid is non-refundable, transferable and not available to apply as a credit to later services. Tuition is due at the time of sign-up. Serious injuries preventing participation may be available for a credit if a doctor's note states such. Any missed camp day and/or extended care is considered a wash and can not be rescheduled. If you register and wish to change dates of a break camp(spring, winter or summer) at a later time a $15.00 reschedule fee will be applied per child. Reschedule fees are assessed each time you initiate a change not for each date you reschedule. Changing camp dates must happen within the same session. EG: You can transfer Monday and Tuesday of spring break to Thursday and Friday of the same spring break. Dates do not transfer to different camp session eg: summer to winter or spring of one year to spring break of the next year. Space must be available for your requested change to be possible. Camp date switches must be requested no less than 4 weeks prior to the enrolled camp start date. Camp date switches are only permitted if space permits. Discounted sibling prices are only applicable when both children attend the same days. Children are expected to be picked up within 10 minutes of the end of the camp. For children picked up 11 minutes or later, family accounts will be assessed a late pick up charge of $5 plus a $1/minute for each minute after the 10 minute grace period. Camps ends at 3:00pm. EFFECTIVE SUMMER 2017 CAMP WILL END AT 3:00PM. *Extended Care is available between the hours of 8am-9am and 3:00pm-5:30pm. Children must be pre-registered and paid for. Extended care is $8/hour per child and is charged by the hour only. Late pick -up fees are assessed for extended care with a $5 late pick up charge plus $1/minute fee starting at 5:31pm. EFFECTIVE SUMMER 2017 PM CARE WILL RUN FROM 3:00PM-5:30PM AND COST A $15. SINGLE HOUR RESERVATIONS OF PM CARE WILL NO LONGER BE PERMITTED. *Children attending afternoon extended care should be sent with an additional snack for this time. A $5 snack is available for purchase through The Children's Gym, please inform the front desk if you would like us to provide your child with this snack. Snacks include a variety or fruits, vegetable and crackers. Tuition is non-refundable, transferable or eligible for credits. Current membership fee is required. Tuition pre-paid in full at the time of sign up. Summer 2019 class session runs June 15, 2019-Friday August 23, 2019. SUMMER SPECIAL MAKE-UP POLICY: Unlimited make-ups for pre-excused absences (at least 24 hours notice). Make-ups must be used during the Summer Session and are subject to availability. If there are no make-up times available, or you prefer, you may receive 3 open gym credits for every pre-excused absence. Enrollment in any class requires an annual membership fee, $40 per child or $50 per family, paid once per year. I agree that my child's photo and/or video of my child can be used on TCG fliers, handouts, website, advertisements and on social media. If you wish not to agree to the photo release you will need to fill out an opt out form at our front desk. As the legal parent or guardian, I release and hold harmless The Children's Gym its owners and operators from any and all liability, claims, demands, and causes of action whatsoever, arising out of or related to any loss, damage, or injury, including death, that may be sustained by the participant and/or the undersigned, while in or upon the premises or any premises under the control and supervision of The Children's Gym its owners and operators or in route to or from any of said premises. There are no exceptions to any of the above policies. By agreeing to this form I agree to the above stated policies for The Children's Gym and agree to pay all incurred fees and waive my right to tuition paid per the non-refundable policy.